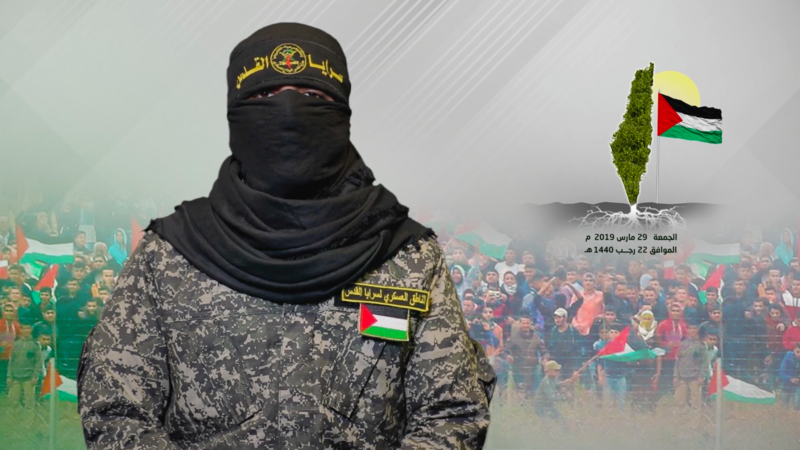 The Islamic Jihad terror group on Friday warned Israel of war if Palestinian civilians were killed at mass protests planned for Saturday. 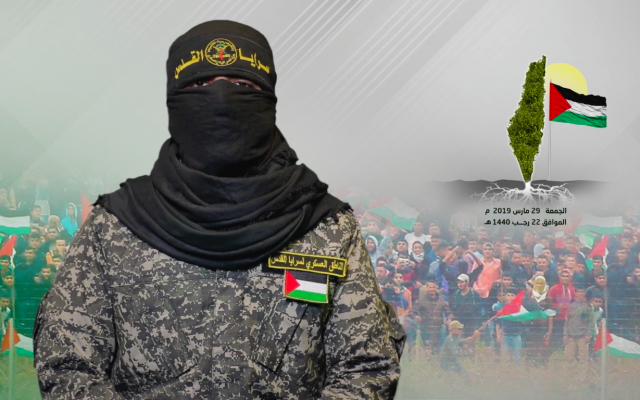 A spokesman for the Al-Quds Brigades, the Iranian-backed group’s military wing, made the threat after calling for civilians to join the demonstrations in a video posted on the organization’s website. “We caution the Zionist enemy against the spilling of Palestinian blood and emphasize that killing civilians will not bring it anything other than war,” the spokesman, Abu Hamza, said in the video. Tens of thousands of Gazans are likely to join Saturday demonstrations for Land Day, which marks a 1976 decision by the Israeli government to seize thousands of dunams of Arab-owned land in the Galilee region of northern Israel. This year’s march also marks a year since the start of weekly violent protests along the Israel-Gaza border, known as the “March of Return.” The protests have at times escalated into full-blown exchanges of fire between Israel and Palestinian terror groups in Gaza, most recently earlier this week. Israel maintains that Hamas, a terror group that seeks to destroy the Jewish state, appropriated the campaign for nefarious purposes, using the civilian protesters as cover for violent military activities. Some 30,000 Palestinians participated in the first protest event, held on March 30, 2018. Fifteen Palestinians were killed in clashes with IDF soldiers protecting the border. Since then over 180 Palestinians have been killed in border violence, according to February figures from the UN Human Rights Council. Hamas has claimed dozens of the dead as members. Hamas, Islamic Jihad and other groups put out statements on Thursday and Friday urging Palestinians to turn out to Saturday’s protest, which is scheduled to start around 1:00 p.m. 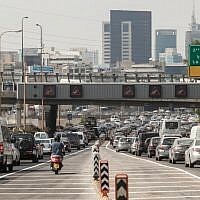 According to reports, Hamas is planning a mass transportation operation for Saturday, picking up protesters from 38 locations in the enclave and shuttling them to five sites along the border. Field hospitals have been set up at various points, and medical facilities in the Strip are on an emergency footing. The IDF on Friday warned Palestinians, on pain of death, not to cross its “red line”: approaching or breaching the security fence. 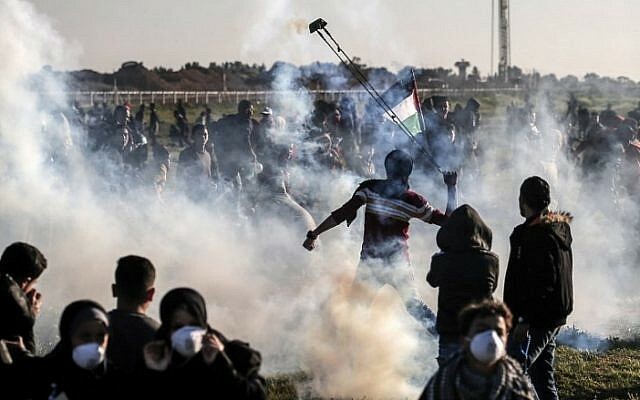 The Israeli military’s primary concern in these March of Return protests is that large groups of people will break through the fence, armed with guns, grenades and knives, and either enter one of the Israeli communities located a few hundred meters from the border and attack those inside, or kidnap soldiers stationed along the security fence. According to the Walla news site, senior IDF commanders are preparing for a variety of scenarios, including the possibility of deterioration to the point of a large-scale ground operation. 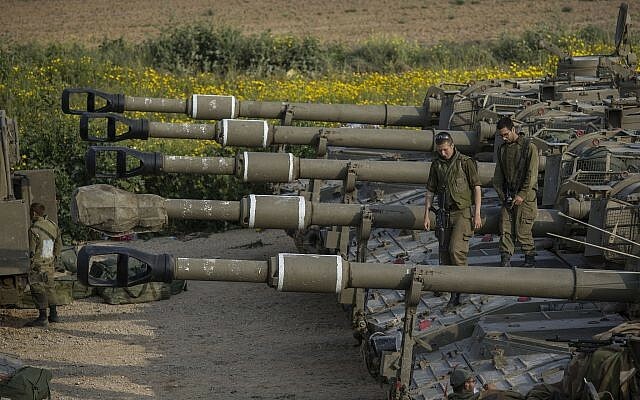 The IDF deployed three additional brigades to the Gaza Division, along with an artillery battalion, and called up reservists from air defense and other select units. An Egyptian military intelligence delegation has been working to broker a ceasefire between Israel and Hamas ahead of the protest — shuttling back and forth between Tel Aviv and Gaza — amid fears that clashes along the border could snowball into a larger conflagration.